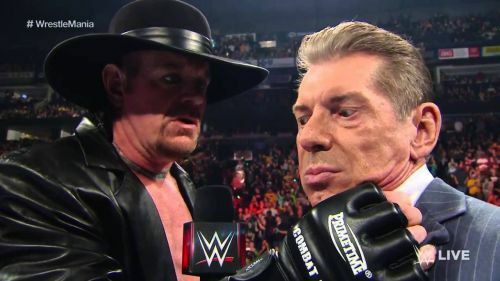 Earning Vince McMahon's respect in the WWE is no easy task. It's not just about having talent, but everything about you, from your personality, your conduct, your loyalty and proving it to the company. As we've seen before, it isn't an overnight process or an immediate process by any means. It takes years sometimes for McMahon to really begin to respect you. Perhaps one of the exceptions of this rule is AJ Styles, who seemingly earned his respect a lot quicker than anticipated. Again, this wasn't just the fact that he's among the best in the world, but he listened to Vince McMahon's advice carefully, used it towards his favour and proved over the course of a year and a half that he was more than just a regular company man. He was willing to do all it took for the company, even if it meant flying out from South America to the United States on one day's notice despite being somewhat ill. There are a few veterans McMahon possibly may not respect, but these are the ones he most definitely does. Former WWE creative writer Kazeem Famuyide recently said, "If you can make Vince laugh, you're golden". There are few who know how to bring a laugh out of the boss than the veteran R-Truth himself. It's easy to see why. Not only is he an extremely entertaining and funny character on-screen, but he's unanimously respected backstage among his peers as well. In fact, one instance on Sam Roberts' Wrestling Podcast saw R-Truth reveal that before the Royal Rumble 2016 match, he texted Vince about the idea of using the ladder in the match. McMahon replied "sure" with laughing emojis. Roberts was stunned at the fact that McMahon would even use emojis in the first place. We can definitely understand his point of view!